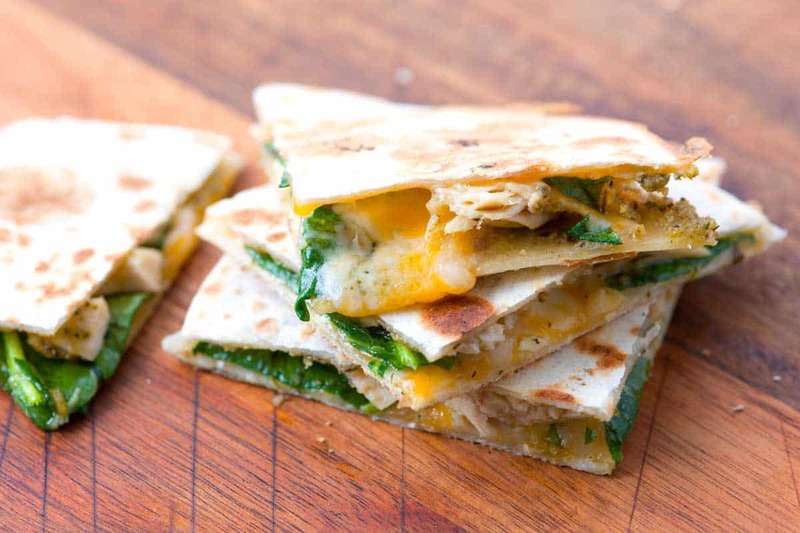 How to make easy pesto chicken quesadillas in under 10 minutes for a perfect lunch or snack. 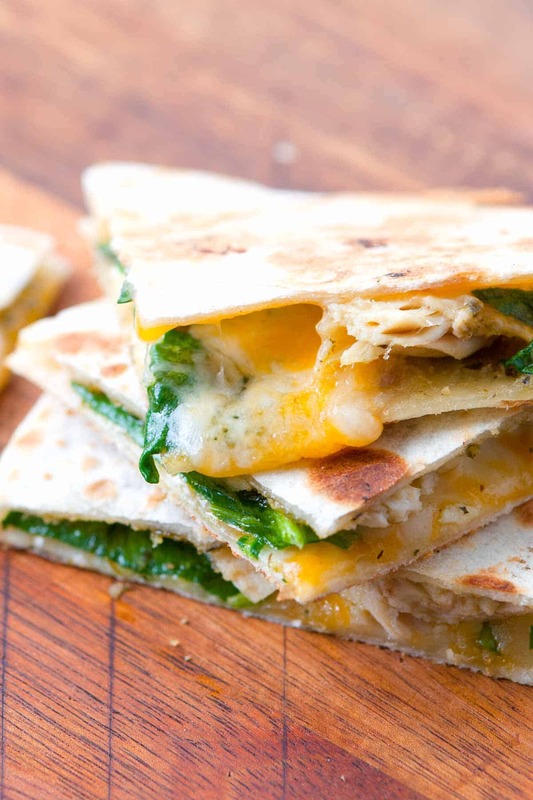 Jump to the 10 Minute Pesto Chicken Quesadilla Recipe or read on to see our tips for making them. Sounds a little strange, right? But, trust us, it works. Pesto is flavor overload — check out our homemade pesto recipe to see. 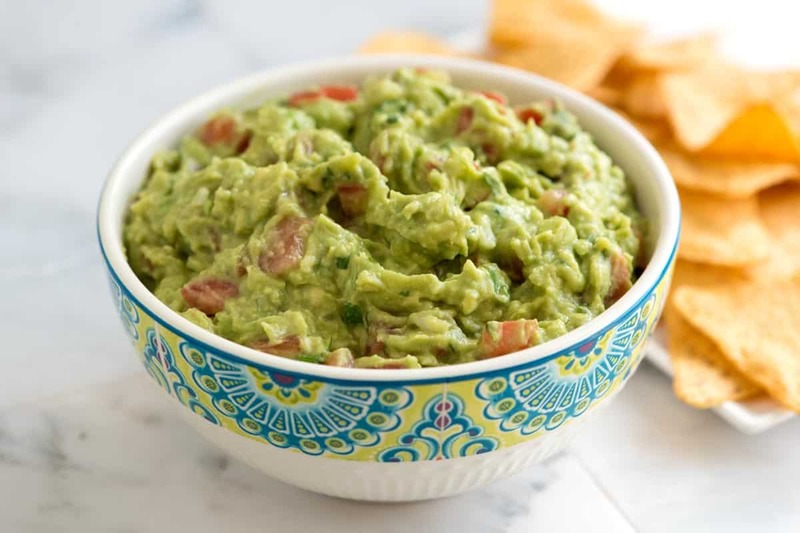 YOU MAY ALSO LIKE: How to make the best Guacamole every time with avocado, onion, tomato, and cumin. Jump to the Guacamole Recipe. There’s fresh basil, garlic, olive oil, and parmesan cheese. If you don’t have the time to make your own batch, there are lots of store-bought options. 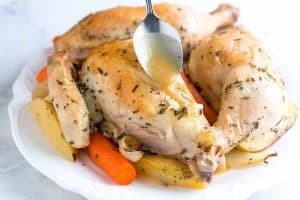 When it comes to the chicken, we usually have a batch of shredded chicken in our fridge — here’s how to make shredded chicken on the stove and here’s our slow cooker version. You can also shred a rotisserie chicken or roasted chicken from a night or two ago. Ten pile everything onto a tortilla add fresh spinach and some cheese. After cooking on both sides in a skillet, the chicken quesadilla is warm, toasted and the cheese is melted. A perfect lunch or snack! YOU MAY ALSO LIKE: How to make easy bacon chicken tacos with cumin, chili powder, and smoked paprika. 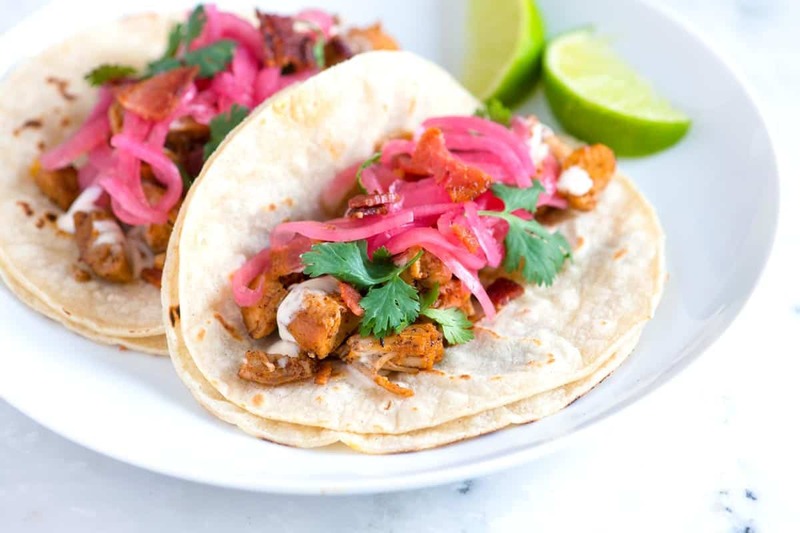 Jump to the Easy Bacon Chicken Tacos Recipe. Pesto is flavor overload — check out our homemade pesto recipe to see. There’s fresh basil, garlic, olive oil, and parmesan cheese. 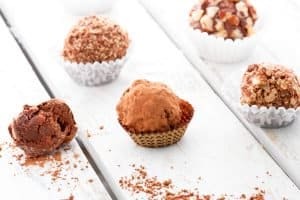 If you don’t have the time to make your own batch, there are lots of store-bought options. Heat a heavy-bottomed skillet over medium heat. 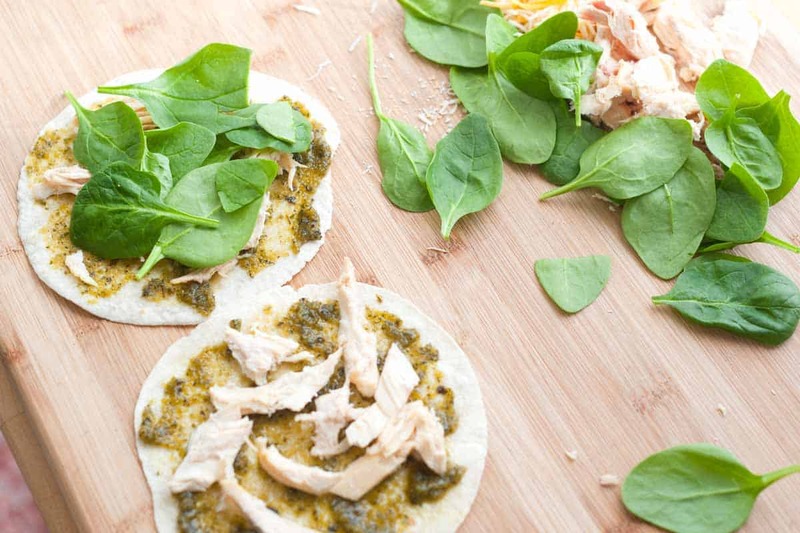 Divide the pesto, chicken, spinach, and cheese between four tortillas. Top with a second tortilla then add to the pan and cook, flipping once, until the cheese has melted and the tortillas are toasted on both sides, about 5 minutes. 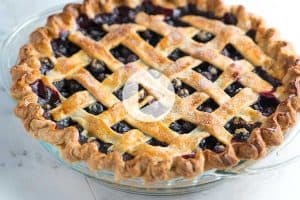 This recipe was originally shared with Betty Crocker and we are excited to be able to share it with you. I just made this tonight for my fiancé and I and it was so delicious! I used my homemade cilantro-jalapeño pesto, raw sharp cheddar, and I sautéed the spinach before adding it to the quesadilla. It came out amazing and I will definitely be making this, again. Thanks for sharing! These looked great, made them tonight. Unfortunately it was kind of a mess. I had trouble when flipping the tortillas. However the quesadillas that sort of worked out tasted really good. Next time I think I’ll bake them. That way I don’t have to worry about flipping. We do this quesadilla, too, but swap the cheddar out for feta. Love me some feta!!! thanks Nancy, we use pesto in just about everything –love it! 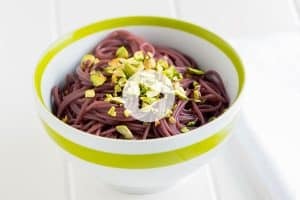 This recipe was a breeze to make and very tasty. Doesn’t get much better than that! These look so yummy and pretty darn healthy with the spinach. Amanda mentioned sun-dried tomatoes which sent me off thinking about pesto, sun-dried tomatoes and goat cheese . . . Can’t wait till lunch time! Adam and Joanne, have you ever tried making quesadillas on a panini maker? What do you think? Oh. My. Goodness. How did I never think of this awesomeness? Thank you! I’ll be adding some sun-dried tomatoes and calling this lunch tomorrow.